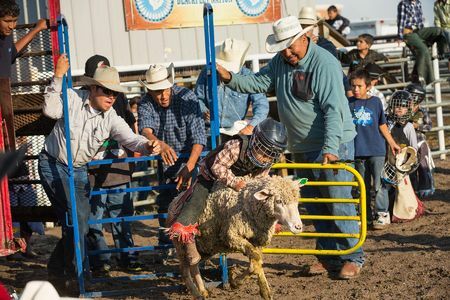 Children ages 2-18 compete in a variety of rodeo events including calf roping, barrel racing and sheep riding during the youth rodeos on the Blackfeet Reservation. 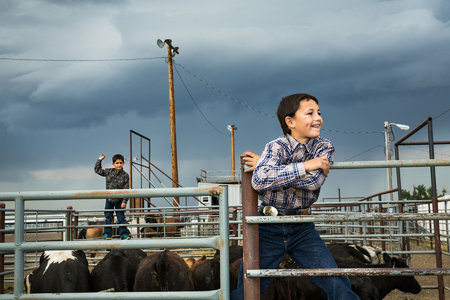 The hours of training and preparation teach participants self-discipline and perseverance, which often translates into success in school and life. 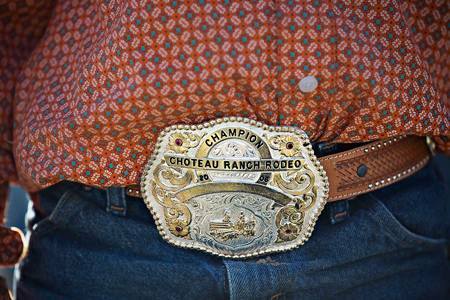 Some students go on to receive rodeo scholarships to universities and win thousands of dollars in state and even national rodeo competitions. 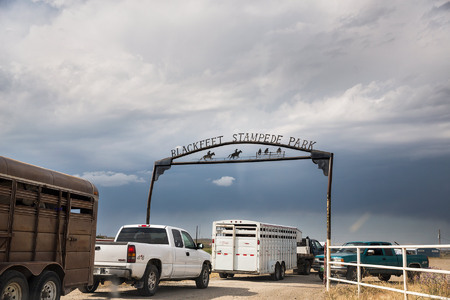 For Blackfeet youth, the rodeo life connects them with their cultural heritage and the traditions of their ancestors. 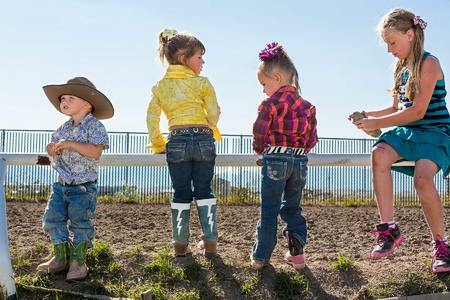 The youth rodeos are a community and family event where siblings, parents and grandparents gather to encourage the young competitors. 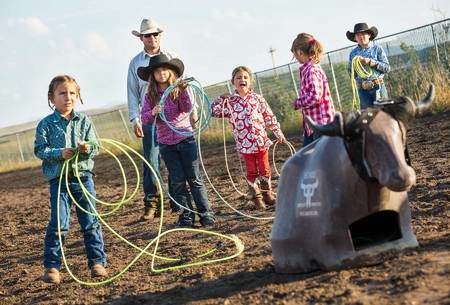 Try Vaile warms up for the dummy roping competition. 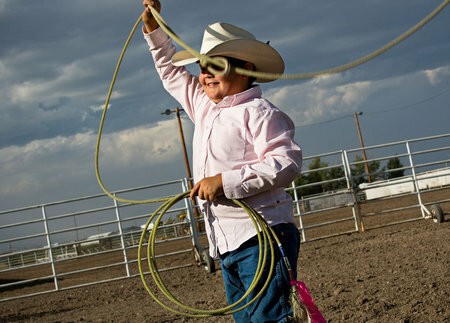 Bryson Bird (7) has been competing in youth rodeos since age 3. 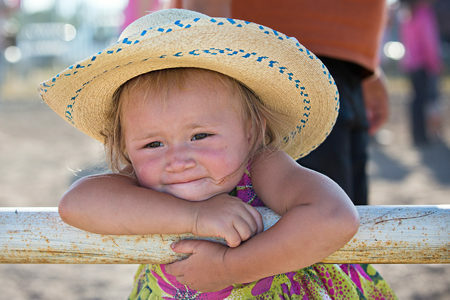 Dally Michael (2) watches her siblings compete in the summer Youth Rodeo. 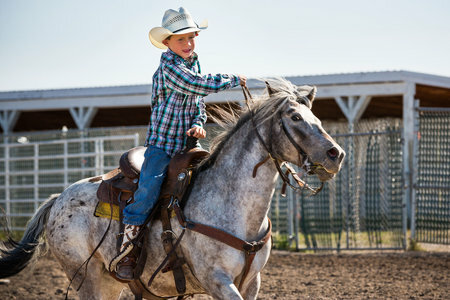 Rhett Michael (8) rides his horse, SuzyQ in the barrel race at the Youth Rodeo. 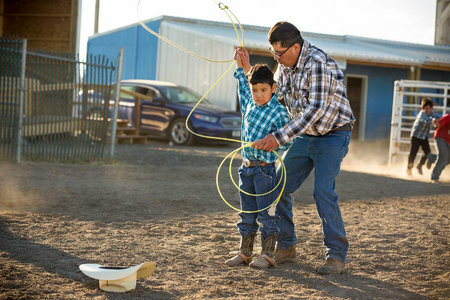 Ethan David helps his son, Josh prepare for the dummy roping competition. 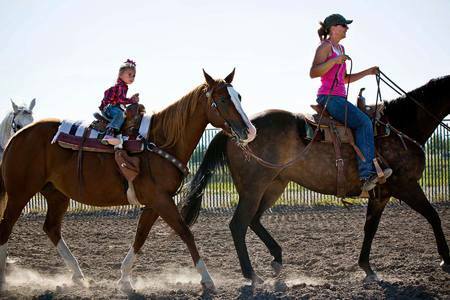 Jayme Bird leads her 3-year old daughter, Bailey around the arena. 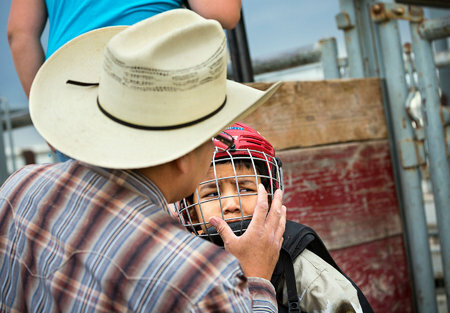 Ethan David readies his terrified son, Josh for the bull riding competition. 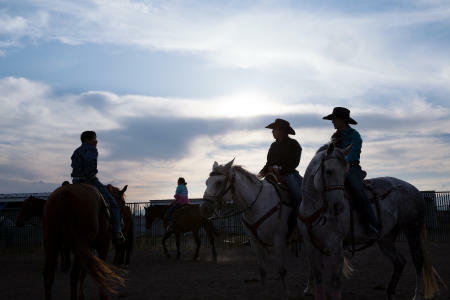 David travel from the Canadian side of the reservation for the weekly Youth Rodeo. 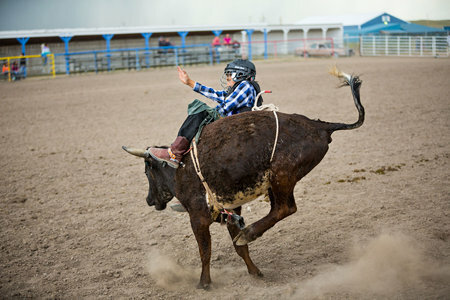 Sheep rider, Teagan Calf Boss Ribs (6) competes in mutton busting. 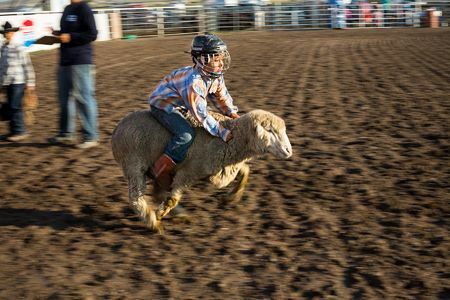 Riders are timed, the objective is the stay on the sheep. 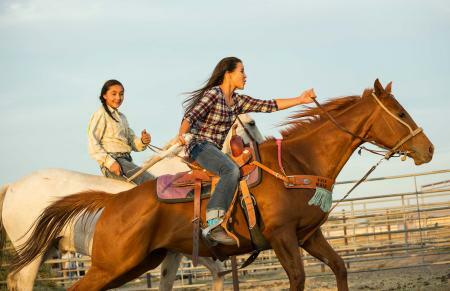 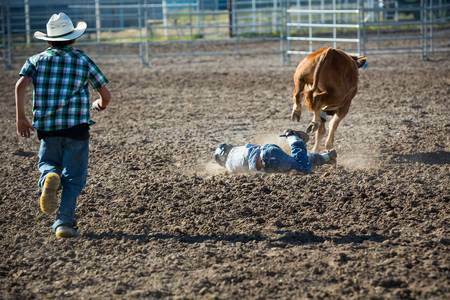 Each summer, the Blackfeet Stampede Park hosts the Blackfeet Youth Rodeo on Tuesday evenings.